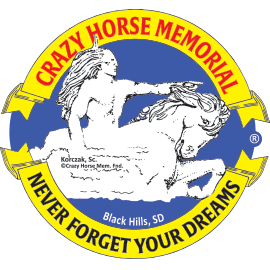 Spark engaging conversation around the dinner table with placemats from ©Crazy Horse Memorial. Available in four different images. 11 x 17. Images available: Snow Scene, Night Blast, Backside View, Mountain Worker. Each sold seperately.